Yale's Oldest All-Women's Vocal Ensemble! 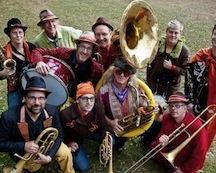 The Slavs joined local favorites the Brass Messengers for a rocking concert on Monday night, at the Ritz Theater in Minneapolis! Check out some video of their collaboration here. 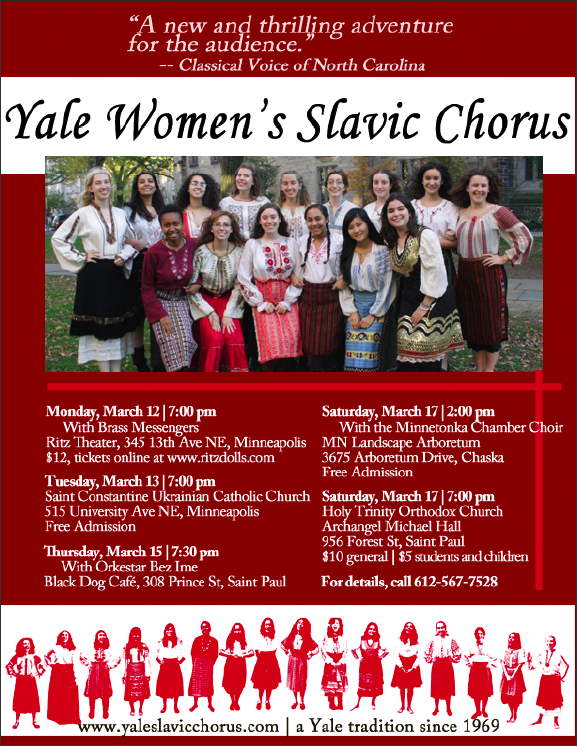 And if you are in the Twin Cities, come to the rest of the Slavs’ shows this week! Tonight, we will be singing with Orkestar Bez Ime at the Black Dog Café in St. Paul.